LAN writer Velislava Valcheva, gets the chance to interview Ph.D. Landscape Architect and Lecturer Veselin Rangelov. Why do we want to be successful? Is it because we want to prove to the world that we are capable of achievements or is it because we want to prove it to ourselves? Unfortunately, most of the time, neither is the answer. One huge part of why people want to be successful is just because everybody wants that. We have gotten used to the idea of success as something thoroughly positive and unilateral. But the truth is that there are two sides to every coin. And one of the sides of success’ coin is its price. So before you go chasing waterfalls, ask yourself, what does success mean to you? And will it bring you satisfaction? If you are willing to find out what a young but very experienced and talented landscape architect says about this topic, join our journey to success in this interview. Veselin Rangelov is owner and founder of two design studios – LANDSCAPE PROJECT and URBAN SCAPE. 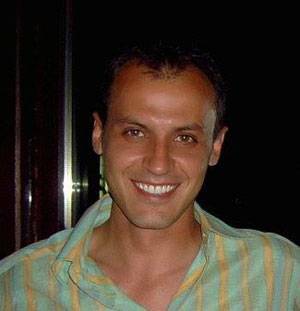 He is based in Sofia, Bulgaria, but has extensive world travel experience. This has shaped his broad views that are enriched by multiple cultures. Rangelov is a versatile personality with a varied professional resume. He shares with us his insights about the road to success. LAN: You have a fairly extensive professional experience. Where did your career begin and what advice would you give to young professionals and students who are at the beginning of theirs? Rangelov: In the final year of my studies, I started working as a designer at ALD-Karamochev architectural studio. That period was a very useful experience to me. On the one hand, I learned a lot about our profession from the practical point of view. On the other hand, I realized that I have an individual style and my way of looking at things doesn’t always coincide with those of others, but there is nothing wrong with that. I wanted to show the way I see things and that aspiration made me go on my own way and establish my first designers’ bureau – ACER DESIGN. LAN: What obstacles came in the way at the start of your career path? How did you overcome them? Rangelov: Undoubtedly, at the beginning it is most difficult to bring the theory and practice together. This is why I think I’ve got lucky at that time, starting my career at ALD-Karamochev. At this time, the design office was working on the most significant projects all over the country, and to me, every day there was like jumping in at the deep end. But one thing is for sure – I could always count on the support of the more experienced colleagues. I also remember that we spent 12 to 14 hours a day at the office, but we took our job as a challenge and had a lot of fun as well. LAN: Have you ever looked for help from more experienced professionals, or have you tried to deal with the difficulties in your development on your own? Do you help young colleagues pave their way for successful realization? Rangelov: Yes, at a regular basis. Even at present, I often consult with more experienced professionals and experts. I always accept with great interest the different point of view and believe that one learns while alive. The majority of my colleagues at the University of Forestry have tutored me, and to this day I have the same respect for them as before. We gladly discuss interesting topics and projects together. I’m glad that my students look at me the same way and that they often ask for my opinion on important issues. On the other hand, students are 20- to 22-year-old grownup people, who have with them the innovative thought of (a) young generation. This makes my contacts with them extremely useful to me, too. Very often, when we discuss some projects, I forget about the difference in our ages, and fill myself with their youthful enthusiasm — the one that makes the world go round. LAN: What is more difficult — the breakthrough at the beginning or to maintain the success after that? Rangelov: Actually, I don’t think that there is a universal formula for that. At least I have never looked at things that way. The sense of responsibility has always been most vital to me — to realize that you are responsible for the quality of the environment people live in. The key is to be satisfied with what you do. That’s when success comes and you realize that your work is admired by a wide range of people. And this is amazing, but quite obligatory at the same time. Life has taught me that success is something very imaginary – today it’s right in front of you, and tomorrow it can be gone. Things don’t always go in accordance with our expectations, but we have to believe deeply that after unsuccessful periods, the successful ones follow, and we will meet success again. It’s just that we shouldn’t lose our faith and persistence. LAN: It is assumed that at the starting point of their careers, young landscape architects have to hunt clients, and over time, the opposite happens: Clients become the ones who seek designers’ services. Does this rule apply to you, too? And is there a way in which this time interval can be reduced to a minimum? Rangelov: I can tell with certainty that a lot of patience is required. A good designer has to walk the walk. I started working as a laborer at building sites in the second year of my studies. I used to go working on weekends and holidays – not because of the low daily wage, but mostly on account of my desire to learn more about how to build such sites. After that, I worked as a designer at an architectural office, and later, we formed our own design office with colleagues. In the meantime, I started working as an assistant at the University of Forestry, and then I became a lecturer at the University of Architecture, Civil Engineering and Geodesy. Today, I’m the owner of two design studios – LANDSCAPE PROJECT (for landscape architecture and design) and URBAN SCAPE (for consultancy in the field of spatial and urban planning). I will hardly stop up to here — life is a string of changes and many different opportunities, of course. I always advise young colleagues not to hurry. Take your time to experiment – this is how you will find the perfect place for you. And believe me, this will reflect amazingly on the quality of your work, which won’t go unnoticed. LAN: Certainly, there are cases in which you have to compromise with your design philosophies because of clients’ demands. How far should a designer go in his or her conformity in order to be able to preserve his/her reputation? Rangelov: Indeed, a designer’s role is very delicate, as he/she is the one who has to embody the rough ideas of the assignor and, finally, to get a result which is remarkable and exciting. I have often come across situations in which that seemed to me unattainable, but, in fact, very often it is these situations that provoke unconventional thinking, and the final result turns out to be surprisingly good. It is good to show tact, and compromises should be mutual, as well. Compromises should be between you and the investor, but in any case, no compromise should be made with the principles of design. LAN: Besides being a landscape architect, you are also a lecturer at the University of Forestry in Sofia and a member of the managing committee at the Chamber of architects in Bulgaria. These are three entirely different fields of work, with various responsibilities. How do you manage to coordinate them? Which one is of greatest importance to you and why? Rangelov: These different activities are united by one common theme and, at the same time, they differ enough for a person to devote to each one of them individually. Sometimes I ask myself, how did I get here? Do I really need so many engagements? And how would I feel if I had just one of them? When I come to think, however, I realize that I have the same passion for each one of them. Maybe those three works best express my desire for change for the better. And even though I take too personally each one of them, when they ask me what my profession is, I reply unconsciously – a lecturer – probably because being a lecturer seems most responsible to me. I always mind what I tell to my students, as my mission is to hand down knowledge impartially, without imposing my stereotype and model of thinking. LAN: In a small Eastern European country like Bulgaria, there are many obstacles related to the financial crisis. The insufficient demand for landscaping services, and the delayed development of landscape architecture as a whole. What is the price of being one of the most successful landscape architects in Bulgaria? Rangelov: It is true that today people live a difficult life in Bulgaria. It is also true that landscape architecture isn’t always on the agenda. Despite that, I’m trying to change this stereotype. I won’t get tired with claiming that creating high-quality urban environment, which provides recreation for adults and habituates adolescents to aesthetic principles, is amongst the top priorities. I have no doubt that better times will come for our beautiful country, but this will happen only if we keep our value system, our self-confidence, and our self-esteem, for which the quality of our environment has a major importance, to a great extent. Unfortunately, the difficult period of political transition led to a collapse in the attitude to institutions and authorities. In Bulgaria, everyone understands everything, and that presumption can be seen clearly in the quality of our urban spaces. I hope for people to realize as soon as possible that everything requires a certain professional, not a layman, saying he/she understands everything. LAN: Despite all the hardships, what brings you the biggest satisfaction of being a landscape architect? Rangelov: Undoubtedly, the work with live “building” material. The satisfaction to create something that lives and develops is enormous. Moreover, it constantly changes its appearance and develops its potential through time. The best moment comes when you walk through the park you designed and see the smiles on people’s faces, not implying that you are the author of the landscape. LAN: Which three books would you recommend for those who want to follow in your footsteps? Rangelov: If it’s not necessary to name books directly related to landscape architecture, I would recommend all the books written by André Maurois. I love that author, and his books are real life lessons. But if I have to mention a book in our professional field, I would recommend to my students the books and the textbooks of Professor Ivan Nikiforov. In particular “Synthesis of Arts in Interior and Urban Spaces” and “Streets and Squares”. They undoubtedly had a tremendous influence on my views. LAN: After all, is there a shortcut to success? Rangelov: I will say it one more time: Success is something too imaginary and it shouldn’t be leading in our career path. Indisputably, it is great to reach it, but the purpose has to be the responsible attitude to what we do. LAN: You are a role model for many young people. What directions would you give to them to remember on their way to success? Rangelov: Truth be told, it took me some time to realize that even unconsciously, every teacher — less or more — is a role model to their students. This is a great responsibility. I have always tried to be a positive example. I support young colleagues, as they mostly need someone to encourage them at the beginning. I have always told them not to be afraid to make their steps. These steps can be small, but they have to be done. Some make big steps and often happens to them to stumble, but this is a part of life. You stand up, draw the necessary conclusions, and keep moving on more confidently. There is no need of rushing – it is more crucial not to miss the details in the haste. This is how you will never stop learning, and believe me, when I say that, this is amazing. LAN: Thank you, Veselin Rangelov, for sharing with us your valuable directions and knowledge on the question of success. It was a great pleasure for me to conduct this interview. I wish that you never stop inspiring others, because people need idols like you. In conclusion, we recall the words of Andre Maurois, who says that, “Nothing belongs to us except our time.” So make sure you spend your time wisely, and go seize YOUR day.